The plugin provides some exciting features allowing you to get access to various pieces of data related to orders. 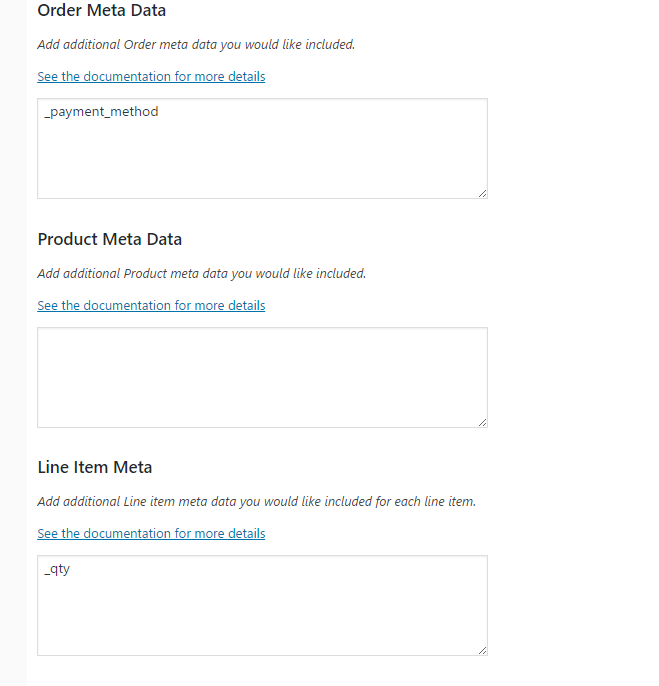 Order Meta Data is information that WooCommerce or other plugins store about the actual order. For example the Shipping Address – it is at the order level. 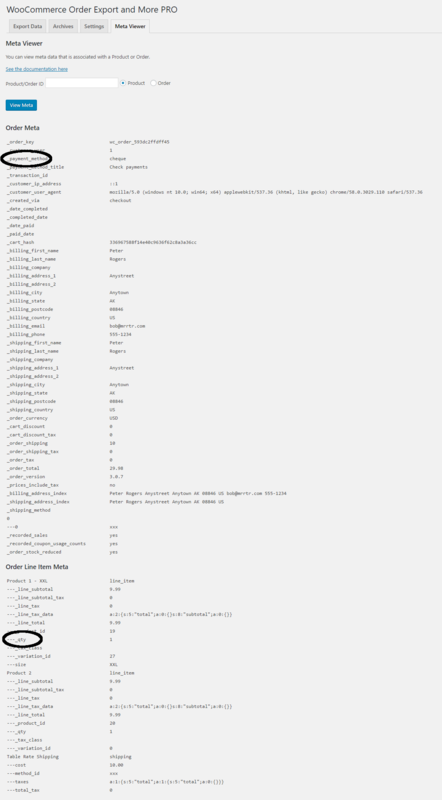 Each one of these different data types can have extra data added by plugins. By using the meta view to look at orders and products you can discover if there is any other information you are looking for.